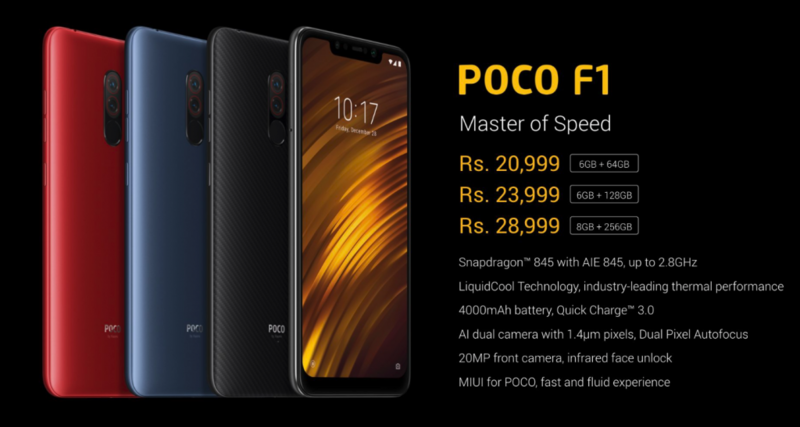 Xiaomi has launched the Pocophone F1 in India Today which is there new smartphone series will offer even more value for money. 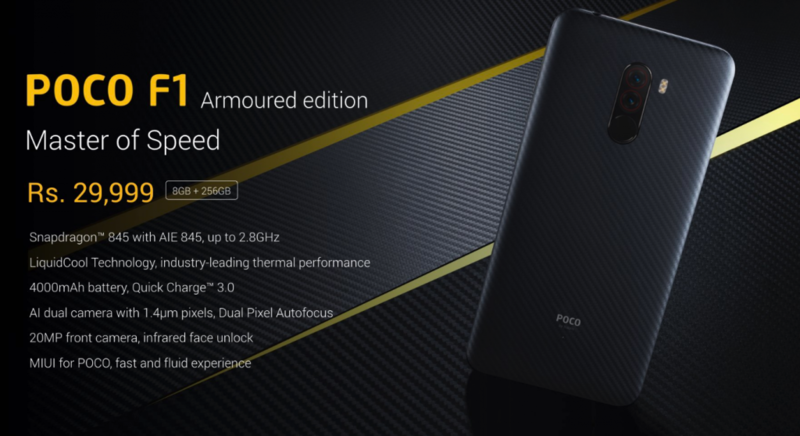 The main highlight of the Pocophone F1 is its processor which is the Snapdragon 845 and the pricing which starts at Rs. 20,999. That makes this phone the cheapest phone with the Qualcomm’s flagship processor. Pocophone F1 has a 6.18-inch LCD display with the notch and has a FULL HD+ resolution. 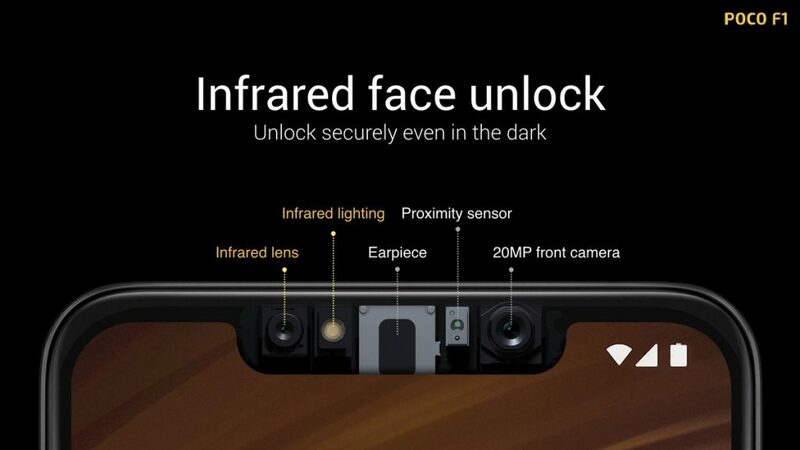 There are no physical buttons in the front and the notch houses the camera and the infrared sensor for face unlock. Screen of the phone is also protected by Corning Gorilla glass but Xiaomi didn’t disclose exact version. Talking about the hardware specification the processor is an octa-core Snapdragon 845 running at clock speed of 2.8 GHz with Adreno 630 GPU. The phone will be available in two memory options 6GB and 8GB and in terms of storage the options are 64GB,128GB and 256GB. Rear Camera setup of the Pocophone F1 is 12MP+5MP where the main sensor is Sony IMX363 with an aperture of f/1.9. The front shooter is a 20MP with an aperture of f/2.0. Talking about the software the phone comes with MIUI 9.6 which is based on Android Oreo. The OS is called MIUI for Poco and has a all new Poco Theme. The phone will also receive the MIUI 10 update which will be based on Android Pie very soon. In other specifications Pocophone F1 is powered by 4000 mAh battery which supports 18W Quick Charge 3.0 and the charger in the retail box is also a QC3. And lastly the phone also has a 3.5mm headphone jack. 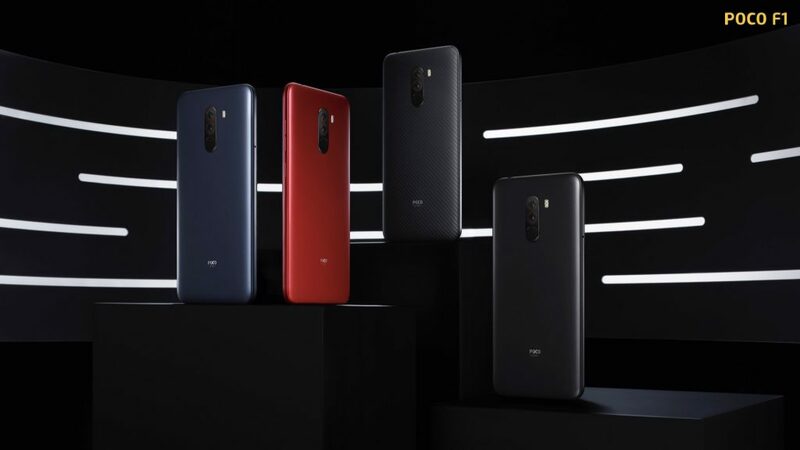 Pocophone F1 comes in three colours Graphite Black, Steel Blue and Rosso Red. There is also a special variant Armored Edition that has Kevlar back which is scratch resistant and has better grip. First sale of the phone will be on 29th August on Mi.com and Flipkart. The pricing starts from Rs. 20,999 for the 6GB RAM/64GB Storage variant, Rs. 23999 for 6GB/128GB and the 8GB/256GB Storage variant is priced at Rs. 28999. The Armored Edition is only available in 8GB RAM and 256GB Storage priced at Rs. 29999.